Mark “Doc” Schmidtke is the owner of PowerUp Kayaking, and designer of the PowerUp Propulsion System for kayaks. A few years ago, while kayaking on the Intracoastal Waterway near Charleston, SC, Doc had a pivotal experience. He felt he was overly challenged by the conditions on the waterway that day. Disheartened, he sought answers, and soon discovered he had been battling an arthritic condition, in addition to the harsh elements on the waterway. An understanding of the physical challenges he would face ahead, led him to design and develop an electric motor system for his kayak. Doc not only preserved his kayaking adventures with his new propulsion system…he stretched his boundaries! Through commercialization of the system, he now offers an opportunity for you to stretch your boundaries…to extend your kayaking adventures! 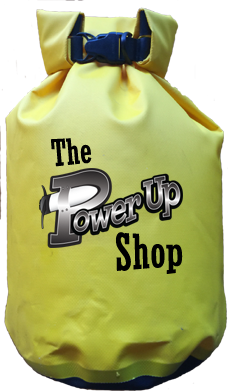 PowerUp Kayaking is a registered trademark with the United States Patent and Trademark Office.